The Australian Paranormal Phenomenon Investigators (APPI) are paranormal investigators who use a combination of scientific and spiritual methods to determine the existence of spirits around us. Life experience, common sense and team work are our main instruments when investigating, and we enjoy working with other groups, in order to learn and develop our natural skills. we are open to any investigations, so please contact us for a confidential consultation. Our team consists of sensitives, empaths as well as our skeptic. We investigate and document all aspects of the paranormal and we often unite with other teams on large investigations using specialised equipment. This includes full spectrum and IR cameras, still cameras and video, spirit boxes, EMF detectors and EVP recorders. We also specialize in house clearings as each member of our team have experienced hauntings and the feeling of being isolated and alone. We are local to Campbelltown and are always here to help! Our group is Coalfield Paranormal. We are located in the Cessnock area but cover the Lower Hunter and surrounding area's. We are here to finding the truth to what is out there whether doing an Investigation, Home or other. We use the latest equipment to find answer's both scientifically and from our own experiences. To help both the Living and those whom have passed to find an acceptable outcome. We are a Non For Profit Organization. So if you need help we are here to Help. Feminine Spirit is a paranormal Investigative team. Our teams vision is to provide our clients with professional and confidential service. The girls in Feminine Spirit respect the sensitive issues that often arise when dealing with unexplainable events that can disrupt our daily lives, and believe that our clients well-being is of the utmost importance. We are Greater Sydney Paranormal Investigations, we specialize in research and domestic cases. Combined we have many years of experience and have done both domestic and commercial cases. If you are having disturbances in your home or workplace please drop us a line to discuss further. G.H.O.S.T. came together after many years of experiences and interest in the paranormal field focusing on hauntings and the spirit realm. Our aim is to gather as much data possible so we can test our theories and develop some new ones. Based on the South Coast of NSW in the historic town of Milton appox 3 hrs from Sydney, we investigate anything from private residences and historic sites to abandoned structures and haunted objects. Although our main investigations stretch from Wollongong to Bega, we also travel anywhere in NSW. Just like most paranormal investigation teams, we do not charge for our services. Our reward is the opportunity to investigate these locations and the data collected. We are primarily a research team, and do not perform cleansings/clearings, but we do occasionally join forces with a close friend who does. Ghost Study Australia is a Paranormal Investigations group based in the North/West NSW area of Australia since 2002. Ghost Study Australia Investigations are conducted free of charge and professionally using scientific methods and common sense in the hope to help our clients and prove or disprove Paranormal Activity. Our mission is to conduct ourselves in a professional, unbiased manner towards our clients. To investigate claims submitted by our clients in a timely, organized fashion. We always strive to advise our clients accordingly to the evidence found via investigations by using the most advanced technology and the experience of our team. We are a group of like minded people who come together to help those out in the community who believe they have paranormal activity in there homes, work or public places. L.I.P.S is the brainchild of husband and wife team Nathan and Fay Johnson. As Lakes Investigators of Paranormal Suggestion, we endeavour to find answers, both for ourselves and our clients. We host Ghost Tours, Historical Ghost Walks, Paranormal Investigation Lockdown Tours, Do paranormal investigations/ research and Psychic / Mediumship Readings. Mudgee Gulgong Paranormal are a team of 3 experienced paranormal investigators and Ghost Tour hosts. We are also open to having other paranormal teams join us on investigations and our Ghost tours/ Lockdowns as guest hosts . Mudgee Gulgong Paranormal is also endorsed by ABC Central West Radio and we get quite a bit of media attention and would like to share the spotlight with other paranormal teams out there. Hello my name is Paul Eichhorn I am the founder of Paranormal Investigations Down under. I have been doing this for now just a little over 1 year. I do have a team that I am also working on having people join. I love to investigate all places big and small. I also love going to the some abandoned places all over Sydney & NSW so if this is something you need or want to get involved with then I might have the team just for you. This is a Not-For-Profit Organisation too so feel free to hit me up on the facebook page. Our mission is to honestly Investigate, debunk, and only bring fact of findings to the investigations. We will not provoke or taunt any entity, we believe that the investigations purpose is to find and record all that is proven. We have a scientific base and a spiritual attitude. We are gifted in the ability to sense, see, hear and interact with spirits. We are a local team based in Leumeah NSW. We aim to provide answers by assisting those that feel they are under influence by a haunting. We are able to cleanse your house and hopefully find answers to what may not be troubling you. We not only research and investigate normal hauntings we also delve into the darker side of hauntings. For this we have a fully qualified Demonologist on hand. WE use a variety of equipment such as a Full Spectrum video and still camera, voice recorders, SB7, Rem Pods etc. We aim through our equipment and research to find proof of the afterlife and perhaps a solution to your haunting. You can find us through our webpage or Facebook. WE also offer Skype interviews if you need to speak face to face before we meet up. ALL SERVICES ARE FREE OF CHARGE. At Six Sense Paranormal We are an enthusiastic, young team made up of three Ainsley, Marty and Chrissie we also have contacts with respected psychics and mediums. a little a bit about us. we are honest and don't mess about,we love our hobby and making our own craft, we use old and new techniques while investigating, We can investigate from anywhere in the Sydney, Illawarra, South Coast, Blue Mountains, Southern Highlands and Southern Tablelandsnregions. if you have a problem be it a wandering spirit who won't go away to a negative entity causing issues we can help you, just give us an email on sixsenseparanormal@outlook.com. SOS Paranormal is a group of paranormal investigators based in Western Sydney that investigate and have a keen interest in paranormal, supernatural and cryptozoolgical phenomenon. We are a group of family and friends that incorporates the full spectrum of points of view on those subjects such as empaths, believers, fence sitters and outright skeptics. This variety strengthens our team and makes us more determined to find answers. We investigate homes, businesses and reputedly haunted sites, and do so respectfully while trying to determine what in actual fact is going on there. Our focus is to bring comfort and understanding to people experiencing these phenomena, and our attitude is always open minded and friendly. SOuL.S.P.I. (or "soul spy") undertake paranormal investigations from a shamanic perspective. The SOuL.S.P.I. team conducts all investigations in a professional manner, adhering to the wishes of the client; we are also compassionate to the needs of the distressed spirit. We are based in Southern Sydney, Sutherland Shire, the Illawarra & surrounding areas in NSW. All members are volunteers and ALL investigations are conducted free of charge. We also produce the Soul Searchers Paranormal Magazine which is a FREE quarterly online magazine providing topical information, news and the latest developments happening in the Australian paranormal community and featuring articles, photos and information from a variety of different groups and individuals about the paranormal, parapsychology, ghost tours, mysterious locations, psychics and mediums etc. 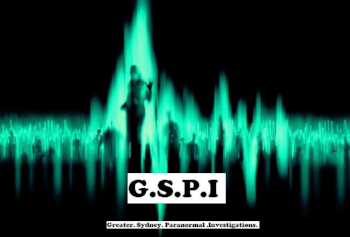 S.P.I.R.T is a Sydney based non-profit team who have a common interest in the investigation and explanation of paranormal phenomena. Our team is comprised of people from various backgrounds and beliefs, from spiritual to sceptical, all of whom keep an open and questioning mind when conducting investigations. We have many years of experience in the paranormal field and investigate both private houses and public buildings. We endeavour to collect and validate evidence using the latest technology available. Our clients privacy is of utmost importance to us and no personal details will be used. SPIRIT is totally self-funded and we do not charge clients for any investigation. We are a Group of 4 Paranormal Investigators in Sydney's West area. Our team members specialise in, Tech & Equipment, Photography, Safety, Location Finding, Research and Mediumship. We are always up for an adventure and love looking into haunted areas. We have come across some strange discoveries in various locations, which makes us determined to continue our investigations. If you have anywhere you would like us to check out feel free to have a chat to one of us. "Personal Experience Over Rules All Others Judgment"
The other Psude is dedicated to all things paranormal, with the intent to not only help those in need, but to also raise awareness of the Paranormal field and support fully its growth and integrity. We are a Sydney-based service, operating throughout all of Sydney including its greater regions. This is a completely FREE service, from start to finish, and we seek to provide support to anyone experiencing Paranormal phenomena. We offer advice, research and investigation- private ad public cases. We operate with total confidentiality and pride ourselves in taking a friendly and understanding approach to your needs. We have a small range of equipment, including audio recording devices, EMP meter, video and stills cameras s well as other devices to aid investigation under scientific and controlled conditions. We are also hiring volunteers who are like-minded. If you have a case you wish to be involved in, or are experienced with the Paranormal, we encourage you to visit The Other Psyde. The society was established to provide the public with information relating to the paranormal world of the unexplained, no matter the type of phenomena. The society beckons the public to forward their own accounts of anything that seems bizarre or unusual so as to defy logic! The Society is an active, in the field group dedicated to pioneering the unexplained world. The Society has now embarked on a project to deliver this material as recreations professionally produced whereby actors are cast into the roles of the characters and the original account from Australians that are investigated by the Society are put to film. This Series is called EERIE ENCOUNTERS and the first DVD, featuring the UFO phenomenon, is now available from the Society. The series will eventually go to air on TVS. The Society actively engages the public on reports they give so as to lend credibility to the reports they give. Everything from Cryptozoology to ghostly apparitions are covered. Validate is an independent investigative body seeking key elements that may provide evidential support to certain paranormal related theories such as hauntings, alleged foreign intervention i.e. UFO phenomena and cryptozoology. In order to authenticate claims, Validate will endeavour to gather bona fide data without relying on calculations or any conclusions drawn by other groups or organisations. This clean slate approach enables Validate to conduct its own studies without influence. All obtained information (raw data) can therefore be thoroughly scrutinised at Validate’s best capacity. In essence, Validate deals with highly controversial areas that are considered as fringe science. Here, even the most qualified scientists who have invested time and risked their academic careers to pursue phenomena research, find it extremely difficult to understand and draw solid conclusions. Validate acknowledges these difficulties through experience. Although Validate operates on strict guidelines, it appreciates the fact that certain events are beyond our academic textbooks. In other words, Validate will not be dissuaded no matter how extraordinary the claim may be. Validate is also dedicated to assisting and coaching groups within the field with the aim of bringing unity to the paranormal (including UFOlogy) community.